Music is an expression of the spirit for everyone. But for some who survive on the periphery of society, it can also be a life-saving coping mechanism and the last stand of their dignity. 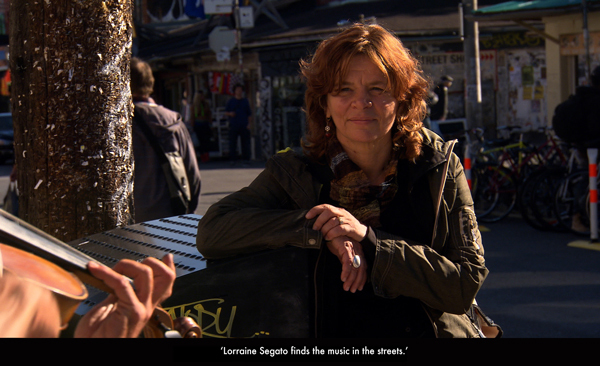 Emmy-winning Director Shelley Saywell’s moving and inspiring documentary was created with singer/activist Lorraine Segato. It captures the music and stories of five musicians who are homeless or on society’s margin. The causes, from abuse to mental health to simple bad luck, are all touched on in their stories in the film. But at its heart, Lowdown Tracks is about bringing into focus the heartache and the beautiful potential we should see when we walk by someone on the street. In the end, it is a celebration of the power of music and survival. Second Place Audience Favourite Film at Hot Docs 2015.